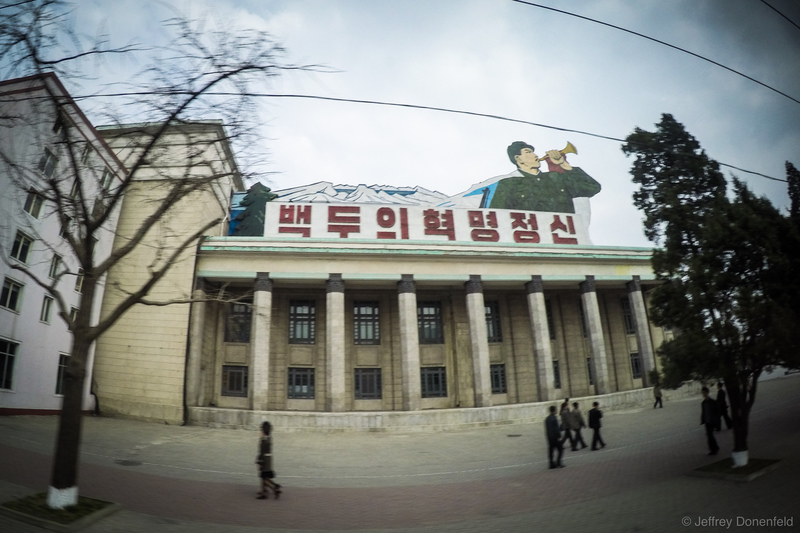 One of the elements that struck me as I was being driven through Pyongyang was the lack of advertisements, signage, or any other colorful expression. Really the only public messaging was in the form of government-built propaganda signs, and general public encouragement and rallying messaging. Lots of signs like this one, flags, and other posters, but absolutely no 3rd party advertisements, public art except for official monuments and installations, or any other signs.